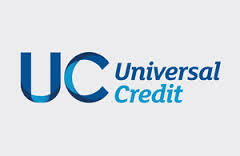 Universal Credit replaces six existing benefits - Income-based Jobseeker’s Allowance; Income-related Employment and Support Allowance; Income Support; Child Tax Credits; Working Tax Credits; and Housing Benefit. From 28 November if you need to make a new benefit claim or experience certain changes in your circumstances you will need to apply for Universal Credit. Universal Credit is paid as a single monthly payment directly to YOU. YOU are responsible for making sure that your rent and other bills are paid. YOU will need to manage your claim through an online journal. YOU need to contact the local authority in your area to see if you can claim any help with your Council Tax. It will take at least five weeks to receive payment after you make your claim so it’s important to claim as soon as possible. If you are going to struggle to cover your rent and bills you can apply to DWP for a Universal Credit Advance, which will need to be repaid. WDH can help you to manage your money and get online to manage your claim.